Chain restaurants are here to stay. They provide a sense of familiarity and consistency that people find comforting. You know what to expect when it comes to the menu choices, portion sizes, services, and other familiar features. But even with their mass appeal, there is still an argument for adding a local flare to the cookie cutter atmosphere of the chain. Of course, you won’t have much leeway to change the menu, but if you are opening a Mexican food chain in Texas vs New York, there will be a difference in the amount of heat in your salsa. If there is no leeway on the recipes, perhaps try running daily or weekly specials that reflect the local palate or offer local condiments such as barbecue sauce in Texas, and Fry Sauce in Utah. Offer local wines, have a local microbrew on tap, or add popular drink specials that reflect your region. This will most likely save you money as well. Be sure that you let your guests know the art is by a local with a sign or mention in the menu. Some artists are even willing to let you hang their art for free if you advertise their name and/or are willing to mark them for sale. If you have a sports theme, feature items from your city’s local football, basketball, soccer, etc. team. Advertise that the band is local to get a larger crowd, and to let patrons know that you support the local talent. While chains are immensely popular, there is a growing trend of “going local.” Just because you operate under a larger umbrella does not mean that you give up the right to use your personality. Get out there and talk to your customers, know the names of the regulars, support the high school sports teams, and get involved in the community. The more present you are to your customers, the more loyal they will be to you and your restaurant. While you still want your restaurant to have the comfort and familiarity that customers expect, the “one-size-fits-all” formula does not always work from region to region. If your brand allows for some localization, try it. Adapting to the local market could just be the competitive edge you have been looking for. 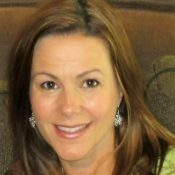 Jennifer Day has more than 16 years of experience in the marketing and communications field. As part of the Ctuit marketing team, she brings with her a wealth of knowledge on POS technologies, software and back office systems and the understanding of how they all work together.